Congress delegates learned who their new representatives at the ITF executive board will be this morning. 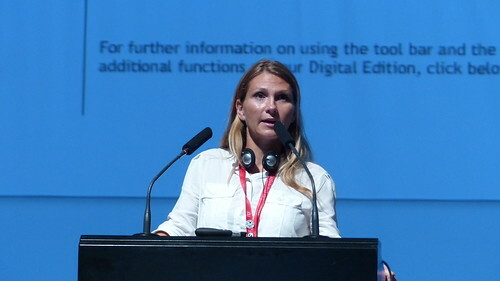 The executive board is drawn entirely from the ITF affiliate base, and has overall responsibility for the ITF between congresses. Workers in the offshore oil and gas sector gathered today to discuss the ongoing issues in the global trade. Maritime Union of Australia deputy national secretary Mick Doleman, who chaired the meeting, said that the industry was an enormous money-spinner, worth USD200 billion in coming years in Australia alone. "This means the employers have deep pockets,” he said. His thoughts were echoed by Hanafi Rustandi, president of the Indonesian Seafarers' Union (KPI), who said countries in his region needed to work together. Maritime Union of New Zealand national secretary Joe Fleetwood said the recently-formed Regional Maritime Federation (RMF), which brings together maritime unions from Australia, New Zealand and Papua New Guinea would help build strength and capacity in the region. Fleetwood said it was hoped that Indonesia and Timor Leste would soon join the RMF. Questions from the floor came from participants from Africa, Brazil, Canada and India. Severino Almeida from Contmaff in Brazil paid tribute to the work of the ITF offshore task force. Eleven members of the ITF family received an ITF gold badge. The ITF executive board nominates gold badge recipients in appreciation of outstanding, dedicated and distinguished service. 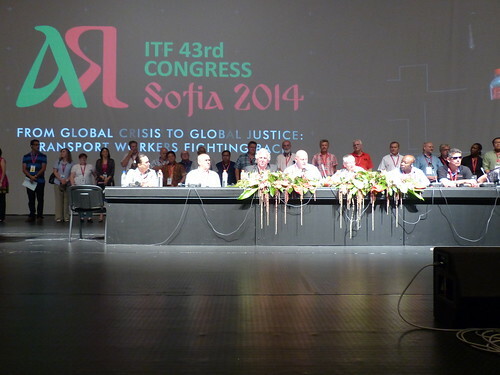 The most participatory #ITFcongress2014 ever! 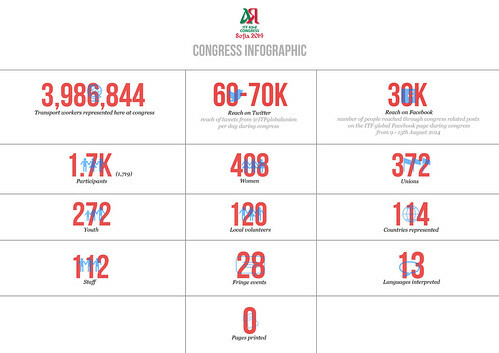 In the first fully digital congress, thousands of trade unionists played an active role. On social media, activists from Bulgaria to Bolivia all had their say. This congress was about putting all workers first. Sofia saw the highest number of women and young workers ever involved in congress. And the fringe programme meant delegates had space to debate all the issues transport workers hold dear. Are you convinced? Look at our infographic below.